5. The Popes in Luther’s Time. 6. Luther’s Birth and Parentage. 8. 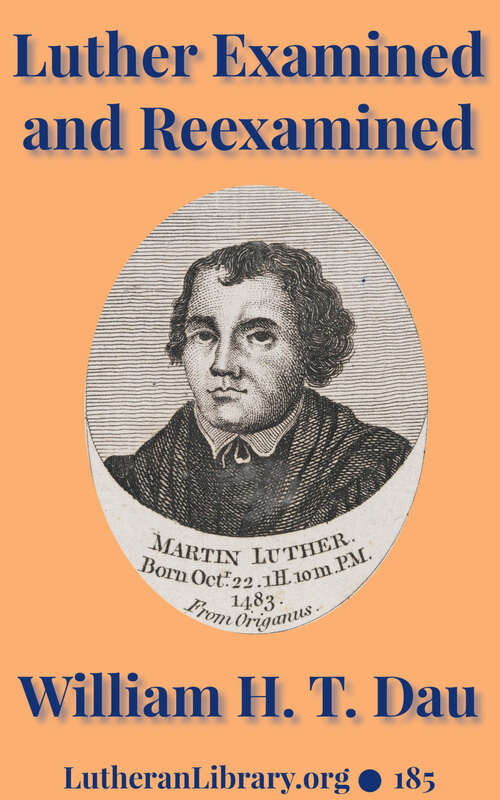 Luther’s Failure as a Monk. 10. Luther’s “Discovery” of the Bible. 11. Rome and the Bible. 12. Luther’s Visit at Rome. 14. The Case of Luther’s Friend Myconius. 15. Luther’s Faith without Works. 17. Luther a Teacher of Lawlessness. 18. Luther, Repudiates the Ten Commandments? 20. Luther on the God-Given Supremacy of the Pope. 21. Luther the Translator of the Bible. 22. Luther a Preacher of Violence against the Hierarchy. 23. Luther, Anarchist and Despot All in One. 24. Luther the Destroyer of Liberty of Conscience. 26. Luther an Advocate of Polygamy. 27. Luther Announces His Death. 28. Luther’s View of His Slanderers. W. H. T. Dau was born February 8, 1864 in Pomerania. He emigrated to America in 1881, and graduated Concordia Seminary in St. Louis in 1886. He first served as pastor in Memphis, TN from 1886-1892, then was president of Concordia College in Conover, NC from 1892-1899. From 1899-1905 he served as pastor in Hammond, Indiana, then was professor at Concordia Seminary, St. Louis, from 1905-1926. From 1926-1929 he was president of Valparaiso University in Indiana. Prof. Dau’s editing duties included ed. The Lutheran Witness; ed. Eng. part of Magazin für Ev.-Luth. Homiletik und Pastoraltheologie; managing ed. Theological Quarterly and Theological Monthly; consulting ed. Alma Mater; ed. Four Hundred Years; Ebenezer. 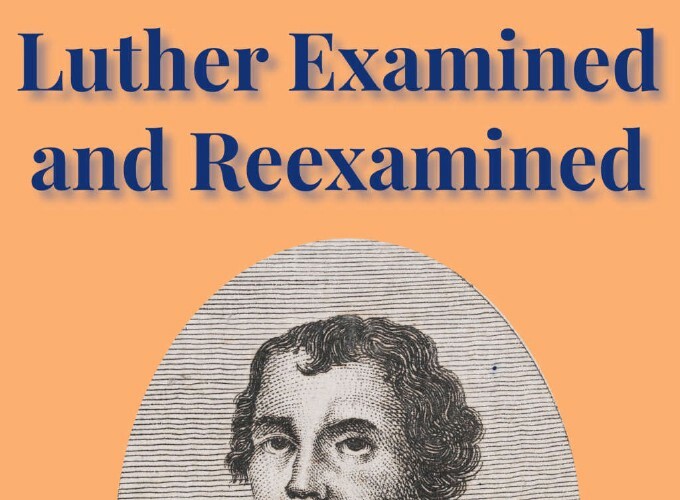 He authored At the Tribunal of Caesar; The Great Renunciation; He Loved Me, and Gave Himself for Me; The Leipzig Debate in 1519; Luther Examined and Reexamined; joint author with A. L. Graebner and L. Wessel of The Proof Texts of the Catechism with a Practical Commentary; coed. and co-tr. with G. F. Bente of Concordia Triglotta1.